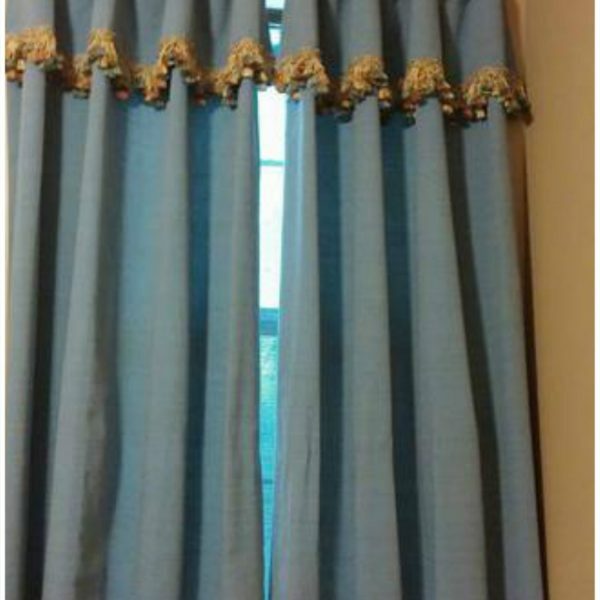 One pair of blue/gray custom drapes. 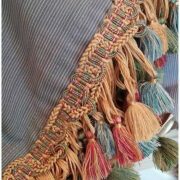 empire pleats with dip in the middle of pleats. 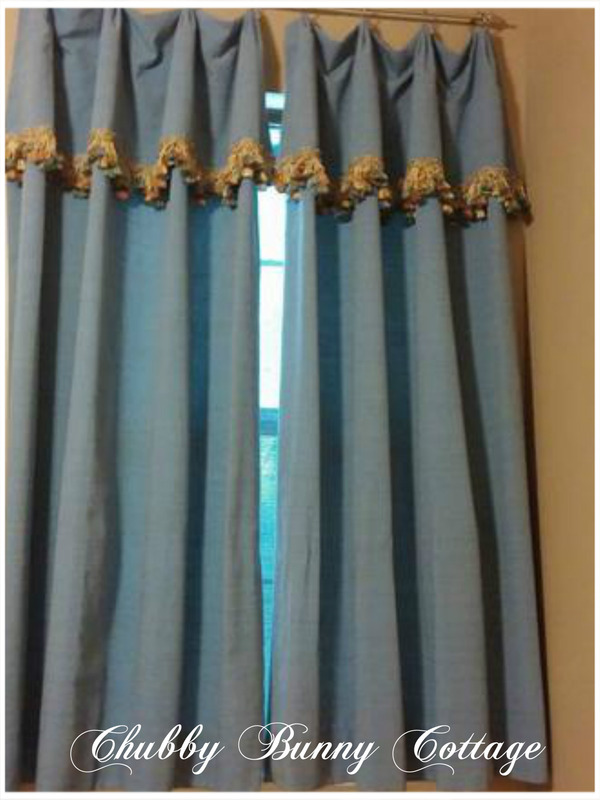 16 1/2″ attached flap valance with gold, blue, lt green, and rose trim. lined. 3 fold pleat with ring sewn on top of pleat. 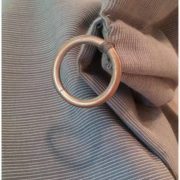 pewter colored ring is 1 1/4″ outside diameter and 1″ inside diameter. 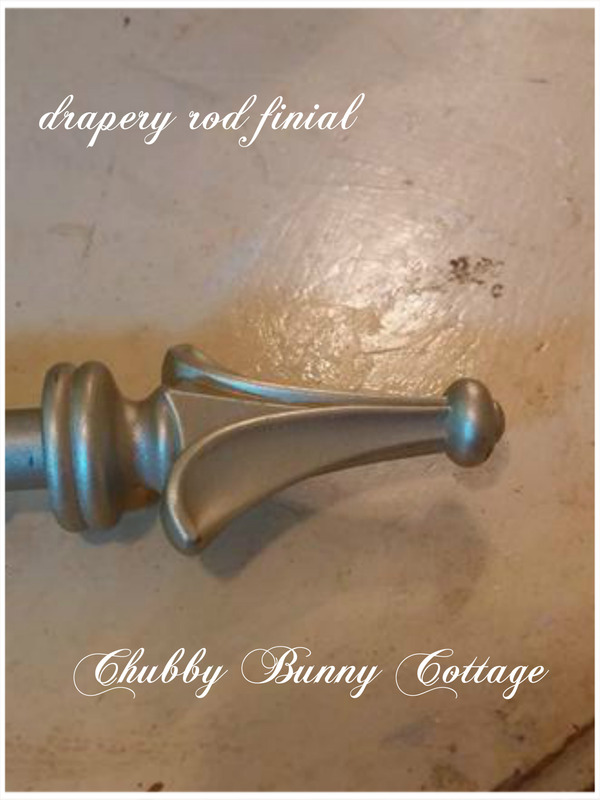 drapery length is 64 1/2″. 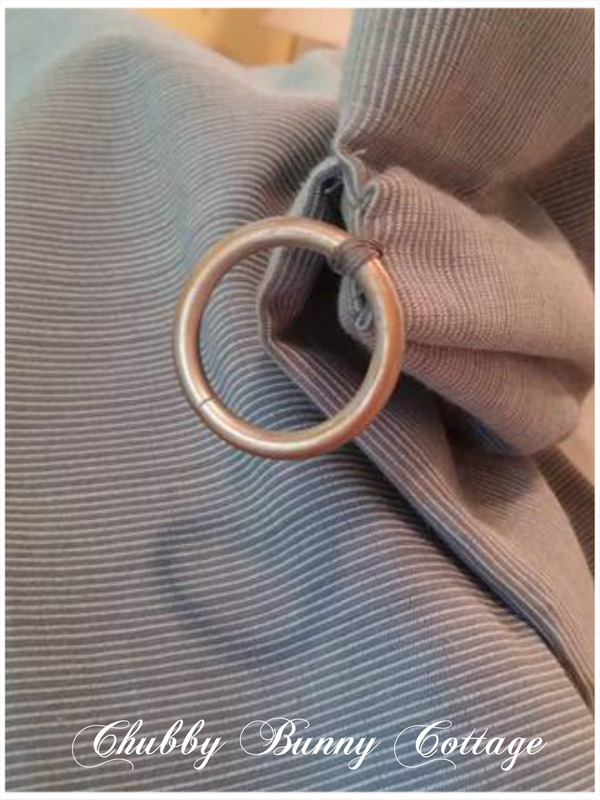 inside ring to bottom of hem is 65 1/2 inches. the window they were hanging on is 31″ wide without a trim around window. they were extended 6″ on each side. that would make them cover 43″. 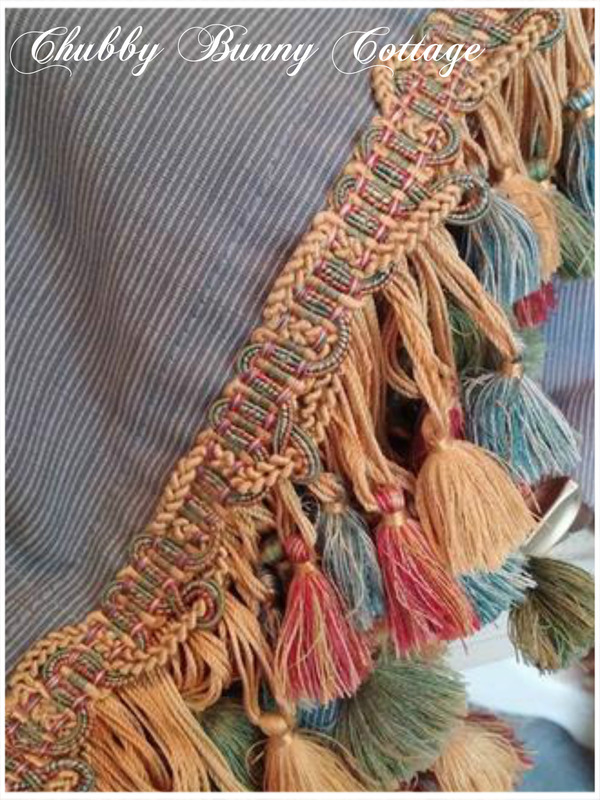 they could be extended a few inches more but that would take away from the dips between the pleats. they could also be moved in a few inches and that would add to the dip between the pleats. either way would work. these are very nice. handmade. 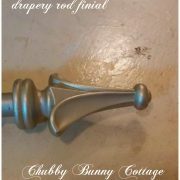 will also include rod, brackets, & finials.